Flipsem.com is a website design company specifically for small businesses wanting a stronger web presence. 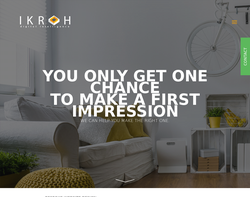 Our focus is professional website design and website marketing with a view to more targeted traffic and increased sales. 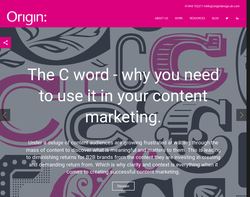 Corporate Identity, Exhibitions, Brochures, Leaflets, Presentations, Advertising, Point of Sale, Web sites, Content Management, E-mail, Online PR, Video, Social Networking, Mobile Content, Market Research, Natural Search and Paid Search. 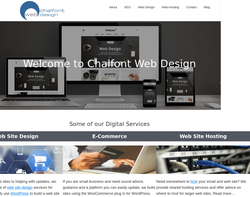 Website Design and Development, Flexible Web Hosting, Full Business E-mail Solutions, Domain Name Registration and Database and Application Design. 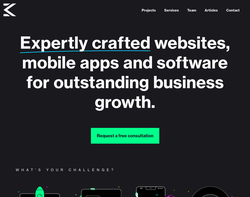 Website Design & Development, Content Management Solutions, Content Editing Tools, Application Development, E-commerce solutions, Intranets & Extranets, Search Engine Services and Hosting Solutions. 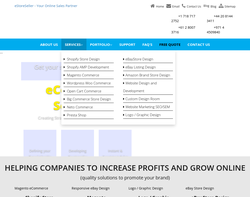 Supplier of web site design services including e-commerce using Actinic, particularly suited to small medium sized businesses. Digital media, Print media, Direct marketing, Integrated campaigns, Intelligent marcomms and Advertising. 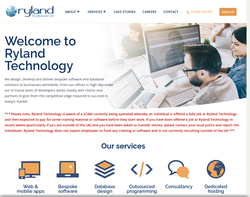 Bespoke website design & development, ecommerce integration into new and existing websites, static & dynamic sites, content management, SEO, PPC management. Previous clients include professional services, online traders, car dealers, golf clubs and property professionals. Advertising, literature, exhibitions, new media, corporate communications, direct marketing, magazines and identity. 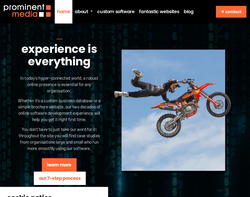 Web development, web design, and content management systems. Advertising, PR, marketingm internet, literature and exhibitions. 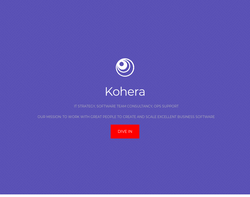 Web design, content management systems, back-up services, VoIP, and general office support. We provide web site design and development, web promotion, database and ecommerce applications, with a focus on delivering a strong return on investment. Brochure Websites, Databased Driven Websites,Content Managed Websites, Mobile (WAP) Sites for Viewing on Mobile Phones, Flash Based Animated Websites, E-commerce Websites with Shopping Cart and Payment Facilities, Intranets and Extranets, Domain Name Registration, Website and Email Hosting and Search Engine Registration and Website Statistics. Web design, database systems, e-commerce, e-mail marketing, corp branding, web marketing, multimedia and hosting. 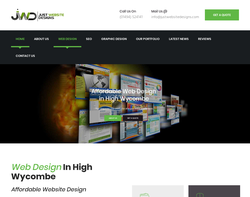 Web design, digital photography, PC repair and PC training. 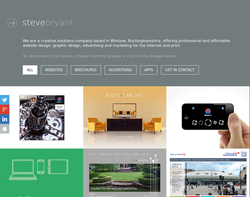 Web design, development, photography (products, locations and portraits), hosting, aftercare and SEO. 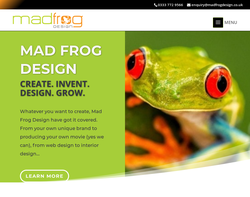 At Mad Frog Design creating websites is our passion, no task in too big or too small, whatever you want, we aim to provide. 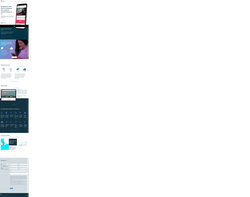 All our websites are pc/mobile/tablet compatible, with unique graphics. 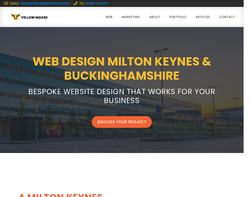 Just Website Designs are located in High Wycombe, Buckinghamshire, As a web designer, we are committed to providing professional but affordable sites. 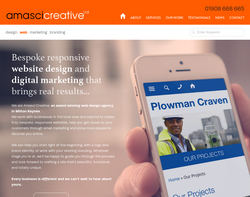 All our designs are created with you in mind; this means that every website will perfectly represent your company image. We will keep you fully involved in the design process by providing an allocated link to view your design during the process. 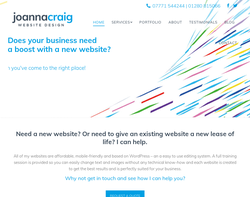 Let me help to grow your business Quality, bespoke and affordable website design with a professional and personalised service. Especially suited for the small business and services include hosting & emails, domain names, seo, social media, e-commerce and cms websites. 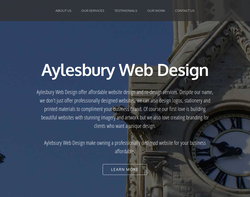 As a customer-focused Web Design & Development company based in Great Missenden, we recognise the importance of a professionally designed website that acts as a catalyst in promoting your business. An on-line business is a way for you to make money 24 hours a day, seven days a week. Everyone has a great business idea but up until now the cost of bringing that idea to market has been a real barrier to entry. Even the smallest shop you can find will cost an absolute fortune and then there is the lease, the council tax, the office furniture, the fit-out, the advertising, the cleaning - and of course the grueling hours behind the till. Our on-line business web site systems mean you can launch ANY business idea you may have for a fraction of the cost. 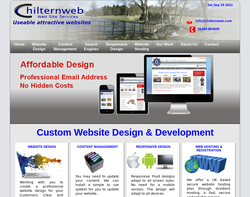 We will have your business web site on-line within weeks and you will look like you are the market leader from day one. With a friendly approach and a reputation for creativity, quality and reliability, Surefoot Communications offer multi disciplinary design solutions that people notice and respond to. 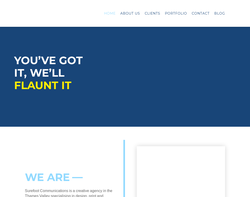 Established in 2001 and based in the Thames Valley, Surefoot Communications provide creative design solutions enabling clients to increase sales, profitability and visibility in their marketplace. Our first job is always to listen. We combine a fresh design approach with a wealth of production knowledge, helping clients to achieve their goals, within budget and on time. 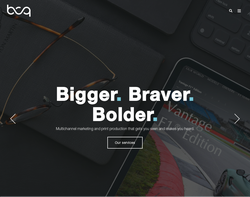 Our cross media experience enables us to offer the most appropriate solutions for clients needs, whether it be in graphic design, printing services or website design. With responsive account management we help with branding and promoting products and services from world class companies such as Citizen Watch, Siemens, Polycom and Kyocera as well as many top class SMEs. Creating exceptional communications materials, Surefoot offer a fresh creative perspective that goes beyond the brief and always aims to exceed client expectations. Our growth over the years is due largely to referral business with many clients choosing to retain our services when moving to new roles. Surefoot provide problem solving solutions with speed and efficiency, working closely with our clients to help them achieve their long term marketing goals. We understand that potential clients base decisions not only on the content of the message, but on how well it is presented. 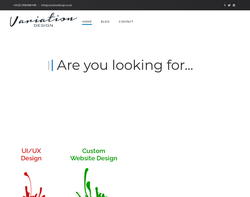 We offer web design, graphic design and online marketing. 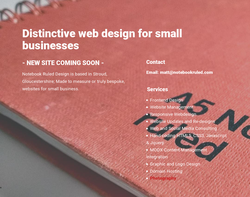 Great design packages for new micro and small businesses, we offer the eye catching design which will tempt your clients to find out more about your business. All of our websites are easy to manage and will show easily on desktop computers and mobile smartphones. Call or email now for an affordable quote for your next project. 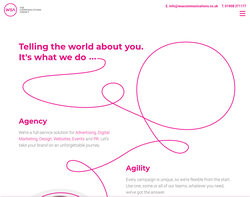 Formed specifically to offer Graphic, Web Design and Development Services to small and medium sized Business who are looking for bespoke custom work. We also offer hosting services, print services and mobile app development. 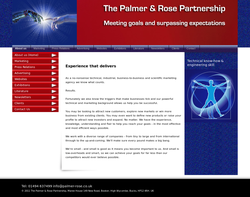 Bespoke website design and build. 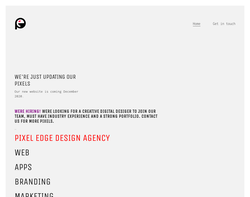 We start with a coffee and a chat about the project and your short and long term goals. Once we understand your business and your aims we think about your customers and their motivations to purchase your product/service. This allows us to build simple yet beautiful websites that are created with the end user in mind. Our designers have worked on projects from simple brochure sites to ecommerce sites with stock control and Amazon & eBay intergration. 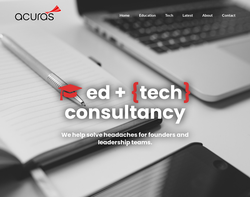 From the initial chat over a cup of tea to the training session that will teach you everything you need to maintain your website, we design and build functional, responsive sites that will impress your audience. 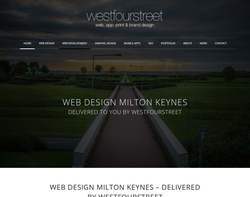 Westfourstreet offers an affordable web design service in Milton Keynes. 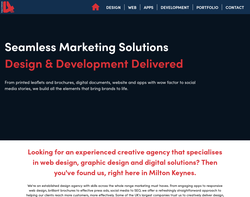 We offer a range of web design packages to businesses, the education sector and individuals across Buckinghamshire and surrounding area. 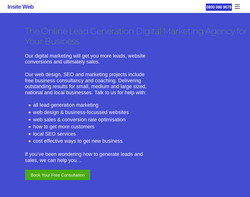 We do not just build attractive websites, we ensure that the website is doing its job, whether that be to generate leads, increase sales or provide information. 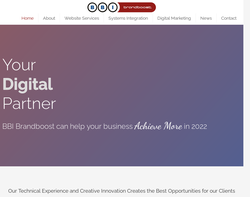 Web design agency offering web design and development, and seo digital marketing services to promote your website.